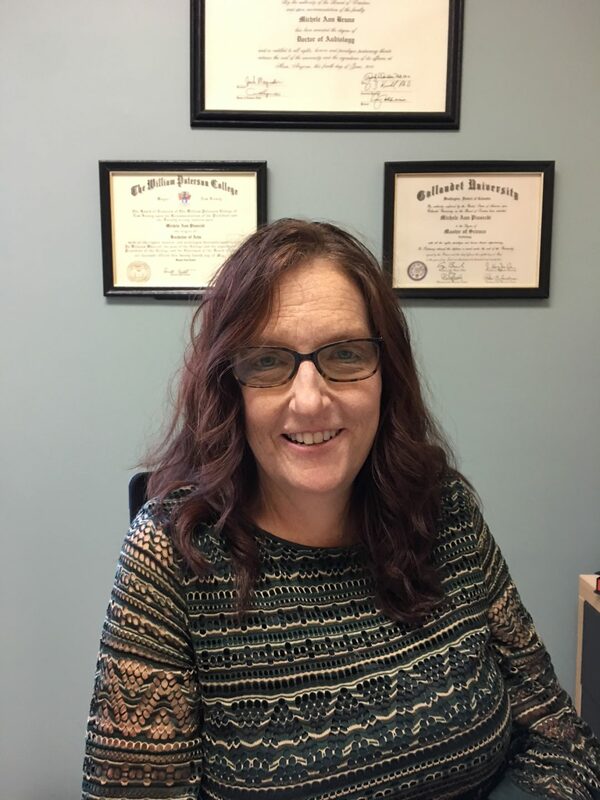 Spotlight on Michele Bruno, Au.D. Doctor of Audiology Michele Bruno performs a very specialized test called Videonystagmography, or VNG. VNGs are performed to test the balance system of the inner ear in patients who report experiencing dizziness. The test enables the audiologist to help locate the cause of the sensation of dizziness. A patient may complain that he feels like he is spinning – that is known as subjective vertigo. If the patient complains that the room is spinning, that is called objective vertigo. Sometimes the complaint is just feeling dizzy or lightheaded, and other times the patient may have a disequilibrium, which would include feeling off-balance, having a gait disorder, needing to hold on to the wall to navigate and swaying like someone who just got off a boat. Patients may be referred for a VNG by a primary care physician, a physical therapist, a neurologist or an Ear, Nose and Throat specialist. Before the VNG, a comprehensive hearing evaluation is performed to rule out hearing loss as a contributing factor. The VNG is a three part test. 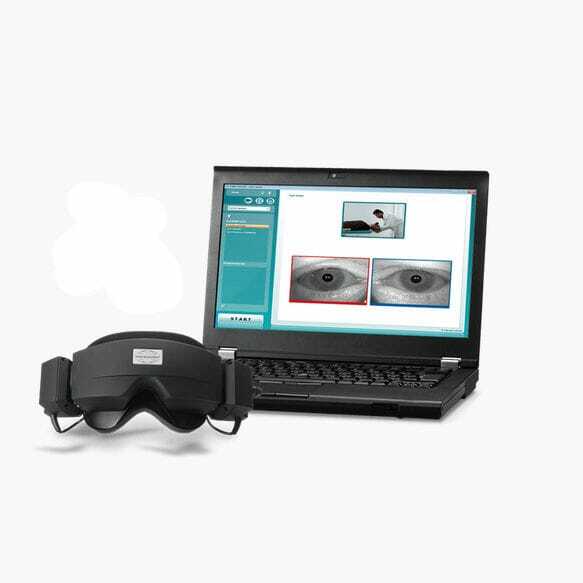 There is a visual component to record eye movement while the patient is wearing goggles. The patient is asked to follow the light with his eyes and the responses are recorded. Next is a positional component to see if a particular positon induces rapid eye movements called nystagmus. Finally, the ears are irrigated with warm and cool air to stimulate the vestibular system of each ear and compare the responses. The goal is to determine the source of the dizziness– if the location is peripheral vestibular, then the patient would be referred to physical therapy and/or an otolaryngologist. If the cause is central vestibular, the patient would be referred to a neurologist who would order an MRI. VNG tests take about an hour and a half. Michele estimates that she performs a minimum of 4 VNGs per week.